Every year for as long as she can remember, seventeen year-old Ariel Mansholt has been involved in sports. 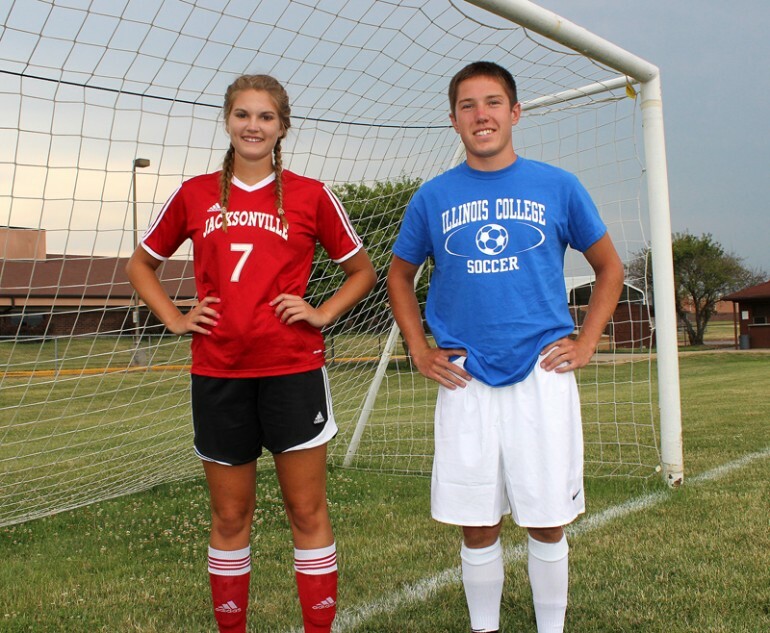 A high school senior, she plays soccer and volleyball for Jacksonville High School. As part of her commitment to athletics, she takes time in the off season to condition her body and stay in shape. Her father, John Mansholt, coached JHS girls’ soccer for 19 years, and is now MacMurray College’s men’s soccer coach. Coach Mansholt has consistently reinforced to Ariel the significance of taking care of her body in the off season to prevent injuries and improve performance. An important component of Ariel’s off season training is Team Speed. Team Speed is Passavant Area Hospital’s sports enhancement program for male and female athletes in fifth grade through college. The regimen includes sprint training, agility training, power development, plyometric and conditioning exercises. Ryan May, a sophomore who plays soccer for Illinois College, also began participating in Team Speed at a young age. He also credits the program with helping him learn the importance of staying in shape in the off season. “I signed up for Team Speed as something to do for the summer, and ended up going back year after year. Team Speed stressed the importance of being active and staying in shape during the off season; an important lesson that has carried over into my college athletic career. The program helped my agility, and overall, made me a better athlete,” he says. into monthly modules. There are two different age groupings offered: fifth through eighth grade, and ninth grade through collegiate. This year the program is being offered at the Bob Freesen YMCA. Team Speed offers two and three-day a week sessions. Fifth to eighth grade students meet from 10 to 11:30 a.m., and high school and college students come from 1 to 2:30 p.m. The program is already underway, but new athletes are welcome to sign up at any time. For registration, and more information, please contact Kris Schwirderski, Team Rehab, 217-245-9541, extension 3397. Space is limited, and scholarships are available.